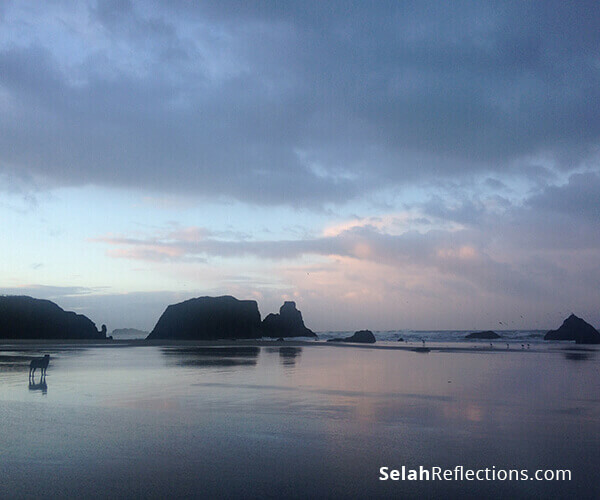 Living along the Oregon Coast these past years has deepened my love of the ocean. 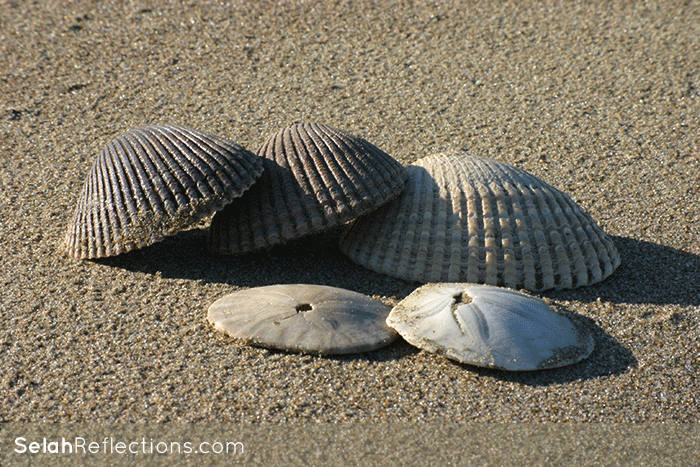 The sounds of crashing waves, the salty sea air, the long walks on deserted stretches of sand, collecting shells, and enjoying the quiet. The beach has become one of my favorite happy places. It has become a healing balm. It is a place where I can feel the tension slowly drain from my shoulders, and where my mind and racing thoughts slow down. It’s also become my thinking place, my praying place, and my journaling place. As I walk, head tilted down to watch for shells, that I don’t need but can’t help but look, my heart stills, and I tend to start to pray. It’s the stillness that keeps drawing me back. Which of course is strange since the beach is not still. The waves always crash, the landscape changes with every incoming and outgoing tide, and the weather, you never know what it’s going to be like. The beach is full of power and majesty. It is not still. 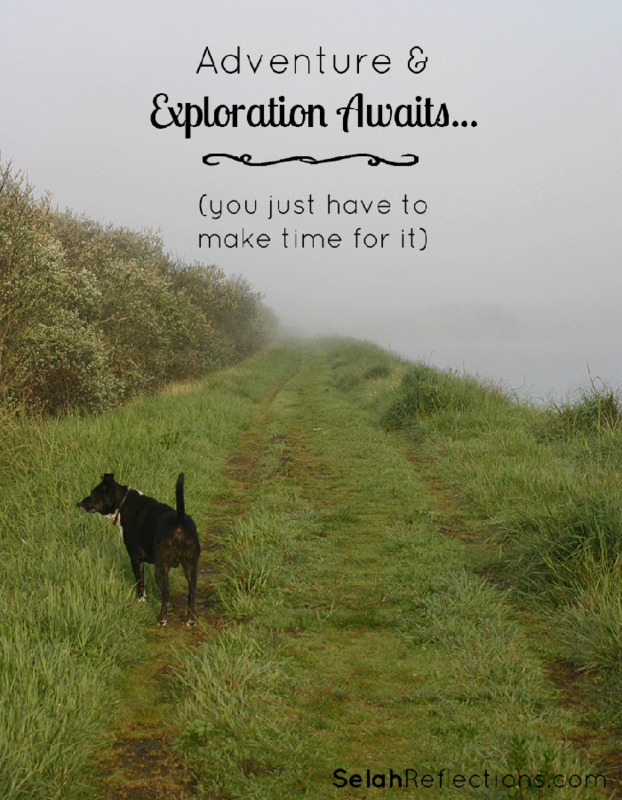 And yet, that is where I long to go when I need a break, and when I know Bailey needs a nice long run. 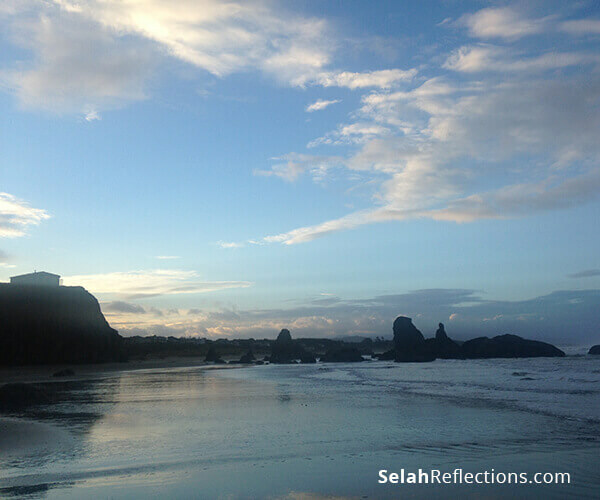 One of my favorite beaches to visit is Bandon Beach, in Bandon, Oregon. It has some of the most beautiful rock formations, at low tide, miles of beach upon which to walk, and some of my favorite photographs have come from being on this beach at sunset. In October I had the opportunity to go back down twice with family, with house hunting, and just needing a brain break. It was wonderful, and as always the time went too fast. This is also the beach where Bailey gets charged by other dogs most often! It happened again on one of these trips. I don’t know why… but that is a story for another time. But even with that, it is one of my favorite parts of the magnificent Oregon coastline. With long walks on the beach comes time to think, to pray, to analyze, to dream, to wonder, to plan, and for ideas to flow. 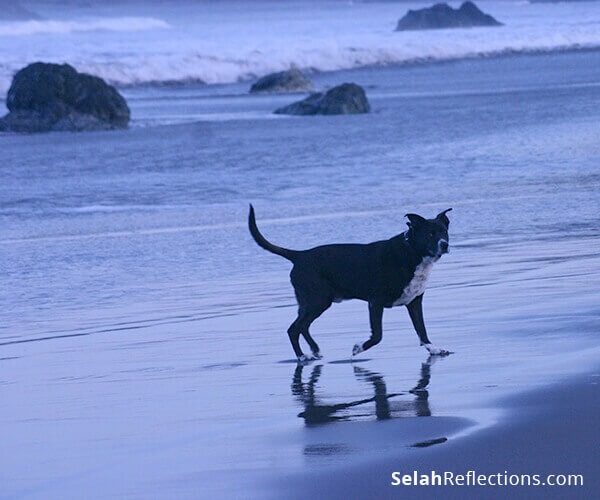 Enjoying the stillness, enjoying Bailey’s joy at the freedom to run, play, sniff, and explore has once again reinforced my desire for finding stillness. I’m not good at it. I struggle with placing boundaries on my work taking over my entire day. I struggle with balancing travel with spending time at home. It has been a long, discouraging search in looking for a home; thankfully that search is done! I struggle with always wanting to learn something new, create a new product for my business, and so much more. On the one hand, I crave stillness, on the other hand, I sometimes run away from it in my desire to keep moving and trying, and striving. It’s something that I kept thinking about in my long walks on the beach. 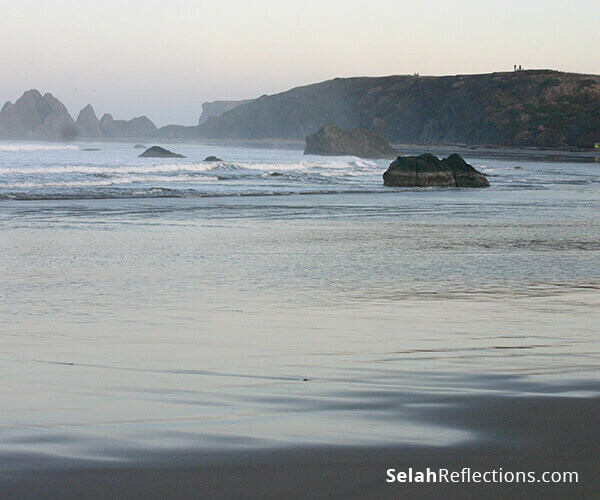 From these quiet times of walking and reflecting a desire has arisen to understand Sabbath. What is it, what does it mean, and how does it apply to our lives today. I’m reading excellent books that are teaching me and showing me what rest looks like and what it means to observe the Sabbath. 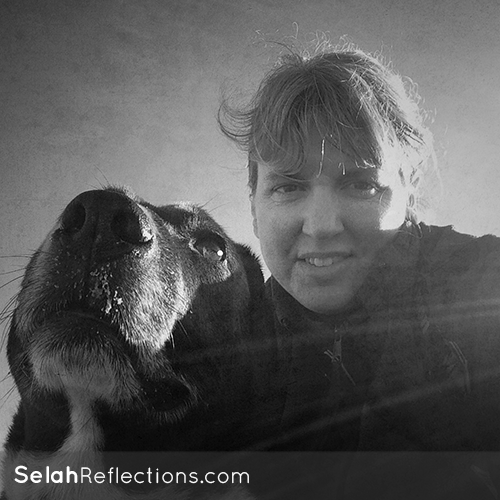 What I know right now is that Sabbath, at the core, is two things. First, it is finding rest, the rest of God. And second, it is about trusting God. 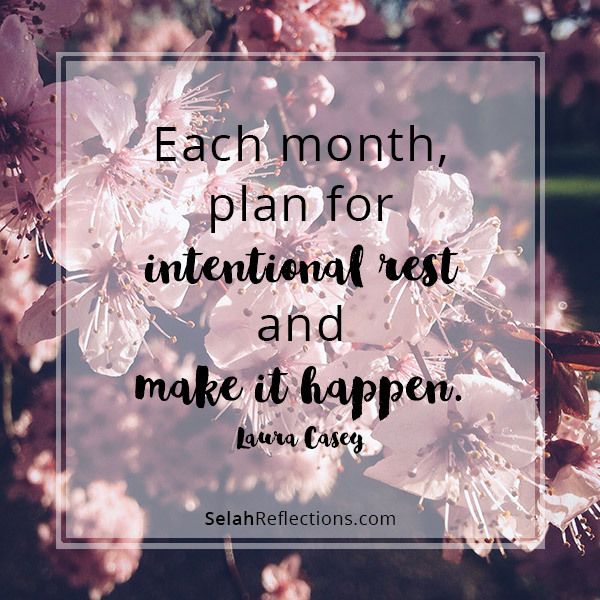 It is trust that you are placing your schedule, your family, your projects, your plans, your business, and your efforts into His most capable hands. It’s a subject I know I’ll be reflecting more upon in the coming weeks and sharing with you what I learn. 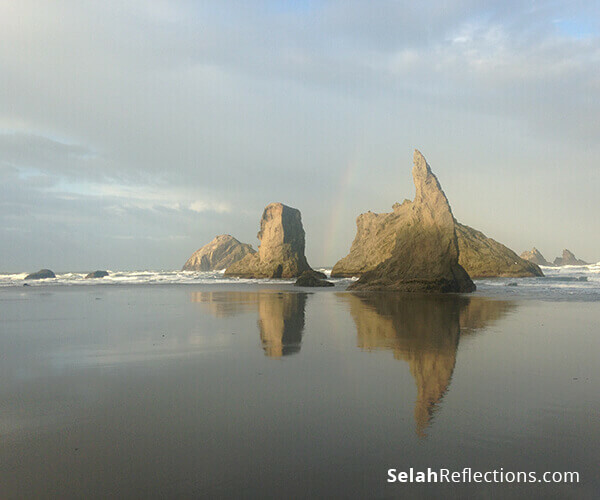 This month’s Selah Reflections Journal has a focus theme of “Rest & Renewal”. One way to find rest is through Personal Retreats. 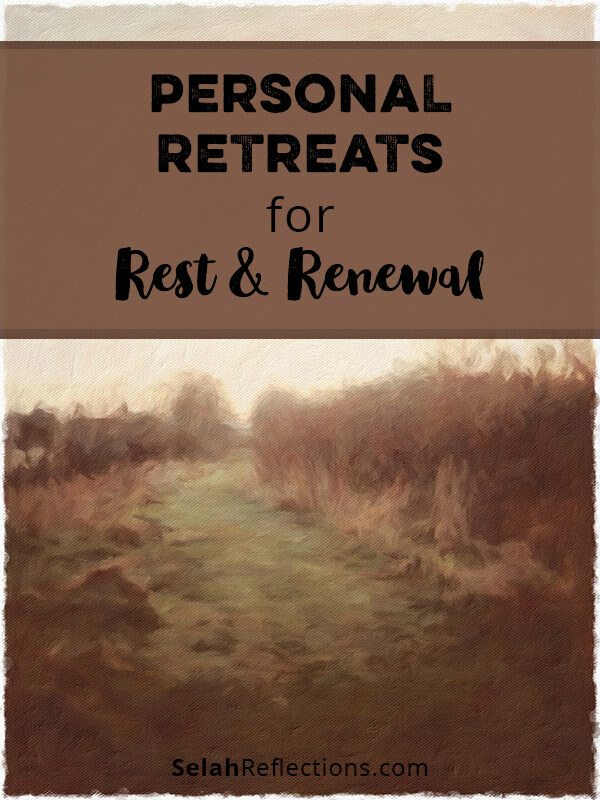 I LOVE, the idea of personal retreats. It’s not uncommon for the desire to get “outta dodge” and change the view outside my window to arise after a busy day. The idea of a retreat center has been hanging around in the back of my mind for years. I dream about buying some property, adding a few yurts or small cabins where visitors can come rest and retreat for a time. There would also be walking trails, a pond or small lake with benches around the edges, fire pits, and lots of fresh air! My dream is to offer a simple, rustic (but comfortable!) place where a person could come for a few hours, a day, or even a weekend, and of course, it would need to be dog friendly! There have been times when I have wished for a place to get out of my head for a day and go somewhere quiet. A place where Bailey and I can go for a long walk and then come back to a quiet space where I can write, pray, plan or just simply be. Because, sometimes a coffee shop just won’t do it and Bailey has to stay home. Places like this are pretty much impossible to find. I have found one place that comes close, it is a monastery out in Carlton, Oregon. It has beautiful grounds, walking trails, a tiny pond with benches and chairs scattered around. 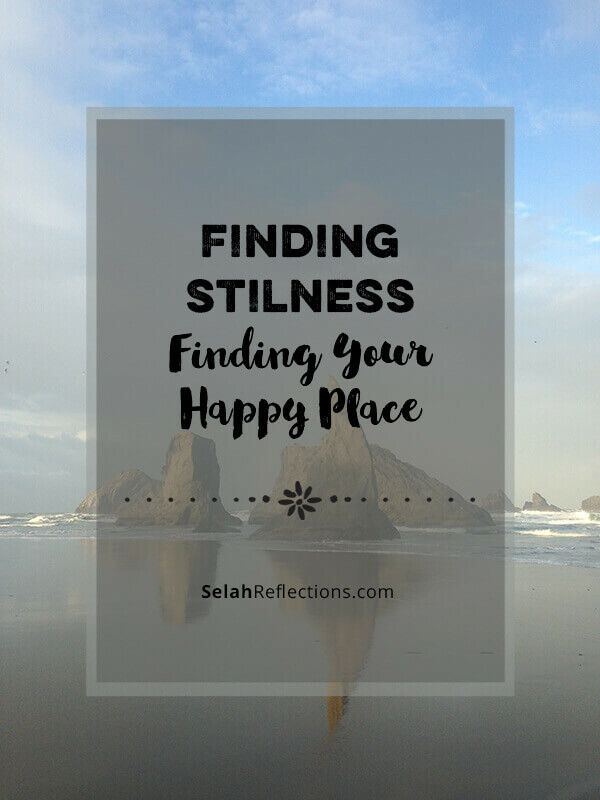 The quietness you find there is peaceful and calming. It’s yet another reminder of the facilities, opportunities and environment I would love to provide for others. The retreat center idea is a dream I’ve not given up on yet. In my senior year of college, I was taking a class called Christian Classics. Sadly, I don’t remember what we talked about in that class, or even what books we read. What I do remember however, was an introduction to the idea of a silent retreat. To be honest I was kind of dreading it. What would I do? Being silent is not hard for me but sitting still definitely is! Would we have to sit still and be silent? Eek! Thankfully that was not the case. Once we arrived the instructions we received were simple. We could roam the grounds of the retreat center freely to find a place to read, write, or pray. We just were not supposed to talk until after dinner and we were dismissed. I didn’t realize it at the time but it was a transformative experience. It’s an idea that has stayed with me all these years later. 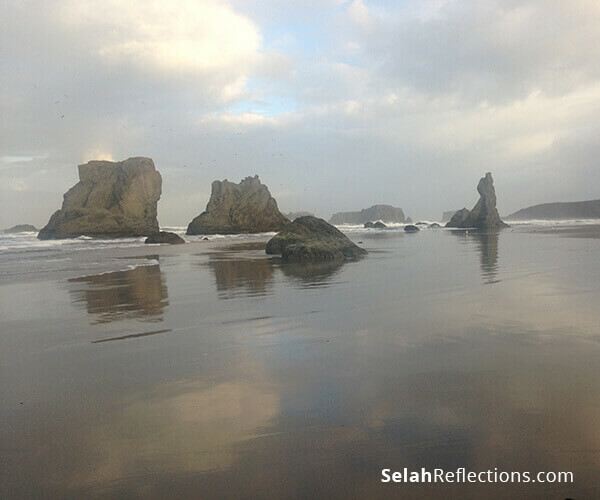 That experience showed me how impactful a personal retreat can be. 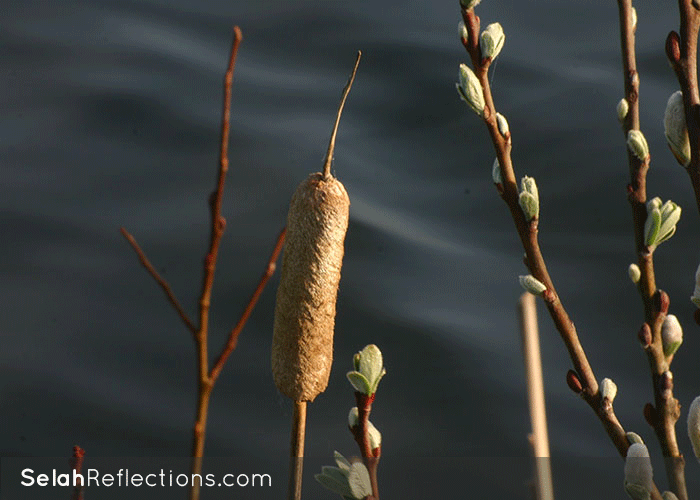 That evening retreat made all of us slow down, listen, and be present in the moment. I do remember comments throughout that week from fellow students about what an amazing experience it was. And the fact that I still remember it today shows me the lasting effect it had on me personally. Restorative: When we feel spent, used up, burned out and drained of life, getting away can be the restorative time we need to get some balance and perspective back. Healing: There are times when we need to be still for an extended time in order to hear the words God has been speaking to us. It’s then we realize we have been rushing and not hearing. Stress Relieving: Whether it’s time with a few friends to laugh, fellowship and relax or just a few hours by ourselves to get away from the demands of every day life, time away can reduce stress levels and lower blood pressure. Always a good thing! Why Don’t We Take Personal Retreats? Family: This is a one of the bigger issues. The responsibilities of kids to care for and get to school, laundry, getting dinner ready, caregiving… and more. Time: Our jam-packed schedules are so full that looking at our calendars leaves us overwhelmed with little to no free time. Guilt: We feel guilty for taking time for ourselves, of asking someone else like a spouse, a friend, or fellow caregiver to help out so we can get away for a little awhile. The last one, guilt, is a harder one. While it’s understandable it’s not a legitimate reason. It’s defeating, it becomes an unnecessary weight we carry around and becomes an excuse to not even try. It’s important. It makes a difference in both your life and in the lives of those you care for. I can’t help but wonder how different our lives would be if we took regular, intentional planned retreats away from home and made it part of our self-care routines. How much difference could you make in the lives of others if you were rested and ready to be there when you are needed. Retreats will be a topic I visit again in the future so I’d like to know what you think about retreats. Have you ever gone on one? What did you think? What would you like to learn about planning or organizing a personal retreat? Just leave a comment below or send me and email and share your thoughts and experiences! You’ve more than likely have heard the words simplicity and minimalism, but have you heard the word essentialism? For months now, I’ve listened to a lot of buzz about a book called “Essentialism.” It’s high praise and recommendations made me curious. However, what finally got me motivated enough to get my hands on a copy of the book, was listening to a podcast with the author on MichaelHyatt.com. After listening to the podcast, I understood the hype. The author’s ideas are contagious. The author, Greg McKeown, had a defining moment in his life when he realized that his choices and decisions in his career did not align with his values. From that, he created a filter through which he would start making decisions about how he would use his time. He calls this process Essentialism. 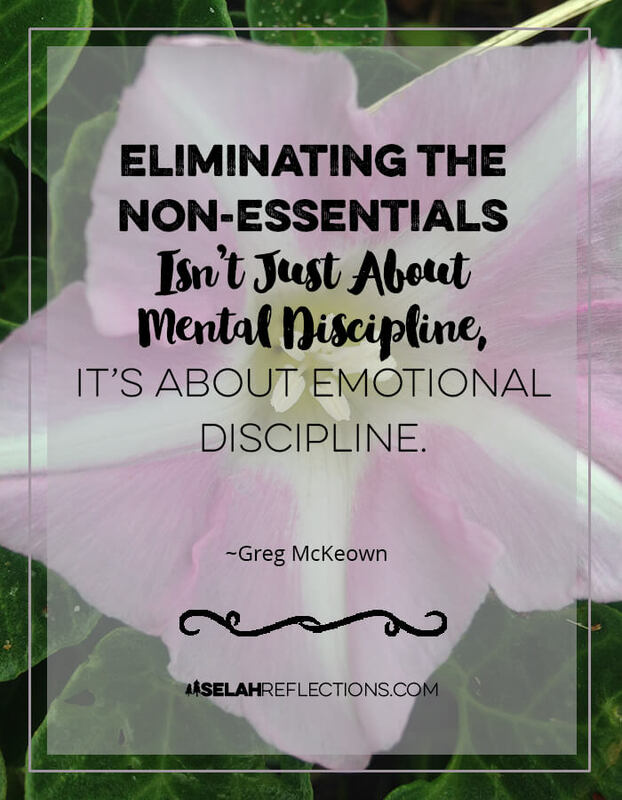 Greg defines Essentialism as the “disciplined pursuit of less.” It’s not necessarily about having fewer material possessions. It’s learning to make better decisions about what we say yes to, what we allow to fill our calendars, our minds, and our lives. What caught my attention in Greg’s interview with Michael Hyatt was a concept that evolved after he wrote the book. It’s the idea of conducting a personal, offsite review – every 90 days. Sidenote: When I originally wrote this post, I had only read part of the book and was captivated from the get-go. Since then I have read the book and listened to the audiobook multiples times, with a goal of re-reading/re-listening at least once a year. 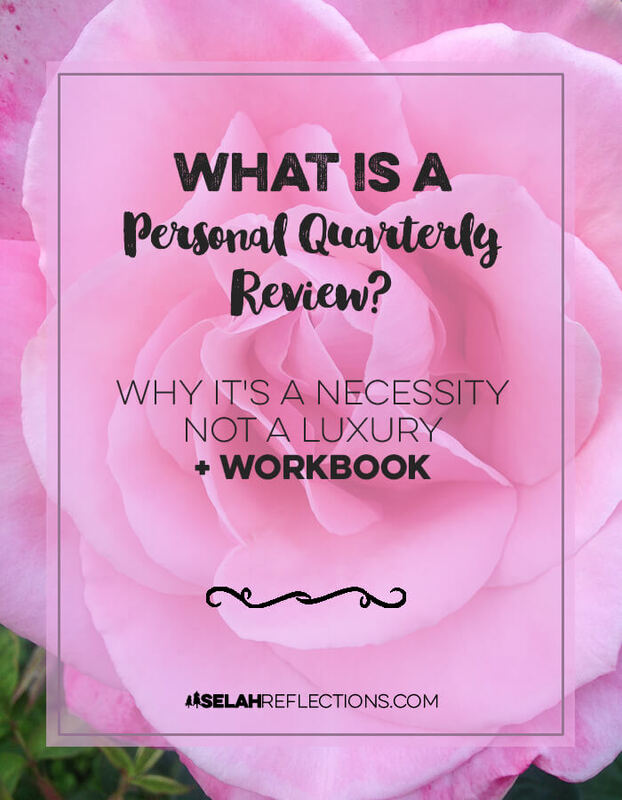 What is a Personal Quarterly Review? It’s a block of time set aside specifically to look back at the past 90-days and evaluate what worked, what didn’t, as well as getting clarity on what course changes you need to make to reach your goals. What Questions Do You Ask During Your Review? In my research and reading, it was hard to find concrete examples of what questions to ask. And there is a reason for that. Your list of review questions will be unique to you and different from everyone else. What worked well in the last 90 days? What did I say yes to that I enjoyed and/or moved me towards my goals? What should I have said no to? What can I get rid of or stop doing? Are my goals still worth pursuing? Are they in alignment with my values and priorities? As you can see, these are not lightweight questions. You will need time to think about them, pray over them and journal your answers. Over time you will need to adjust these question to create an experience unique to you that allows you to get the most out of these review sessions. This one is pretty much a must. I know from personal experience how difficult it is to try and do this at home. There are way too many distractions. You will think about and find all sorts of “need to be done” items on your to-do list which makes it hard to focus and concentrate. There is something powerful about putting pen to paper and ignoring our digital world for a while. So grab your favorite pen, some paper or journal, turn off your phone and start writing. Start noticing at what time of day you are best able to focus and the creative juices start to flow. Where do you feel inspired? Where can you go that takes you out of your everyday routine? 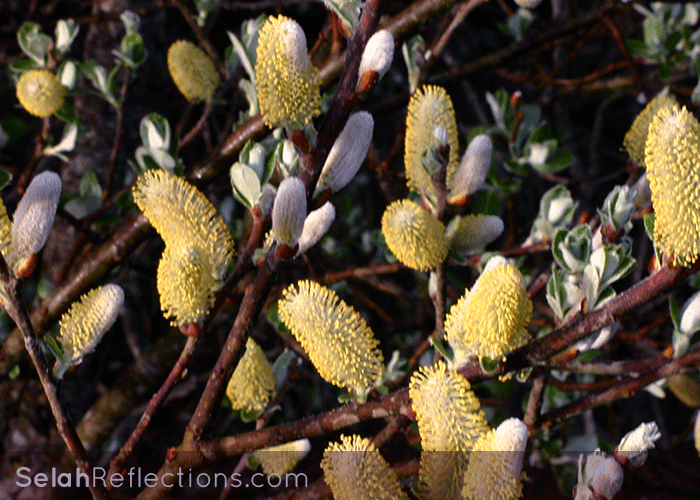 Do you prefer to do reflection time indoors or outdoors? Do you need the quiet of a library or the hum of background noise at a favorite coffee shop? Create an environment that sets you up for success and gives you the space to help you think through your list of review questions. Have a way to capture thoughts, ideas, plans and any aha moments you discover during this evaluation and reflection time. Don’t complicate this. If you make it expensive, ultra time-consuming, or an event that you need a lot of supplies for, you won’t do it. When you start creating a habit of consistent review and evaluation you am laying a foundation for success and growth in your life. After a couple of review times, you will start to see this time as an investment in your growth. It will become a necessity and not feel like a luxury. Do you schedule personal quarterly reviews on your calendar? Click here to watch or listen to Michael Hyatt’s podcast with Greg McKeown and read the blog post. Check out James Woosley’s Simple Strategic Plan. James suggests doing quarterly reviews of your business. In this post, “I Decided To Sell My Business”, Stu McLaren shares how the book “Essentialism” became a catalyst for big changes in his life. Michael Hyatt’s post, “The Importance of the Quarterly Review” is a post I have referred back to often. The more I read, the more I see that by creating a habit of consistent review and evaluation I am laying a foundation for success and growth in my life. I can see that this is an investment, a necessity and not a luxury. It’s time to cultivate a new habit. So I’ve realized it’s time to take my own advice and start planning my planning days. Back in March I experimented with taking Monday’s off to work on my business revamp and re-branding and then to schedule some down-time as well to rest.